Natalie's Orchid Island Juice — Denv.Her. Do you even juice bro? denv.her. 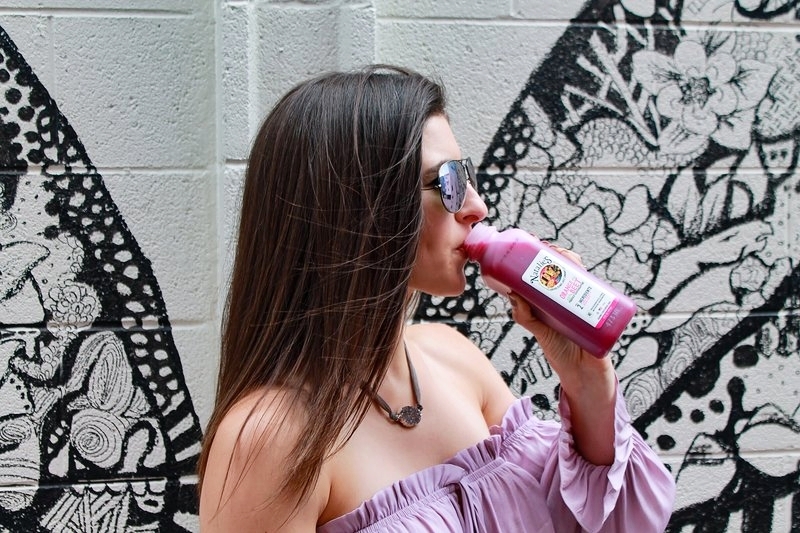 got to collab with Natalie's Orchid Island Juice Company and we are loving these authentically squeezed juices that are always squeezed fresh and honestly sourced. 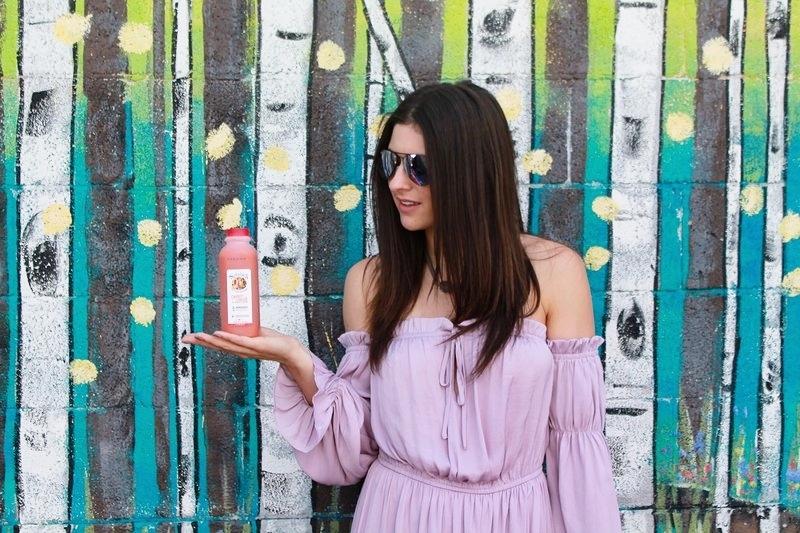 Natalie's Orchid Island Juice Company is women owned (via Marygrace Sexton & Natalie Sexton #bossbabes), spans globally and has been expanding for the past 30 years. When we're running out the door in the morning for work, I always like to drink something on my commute and it can be a challenge to find something healthy (especially something healthy that tastes good). 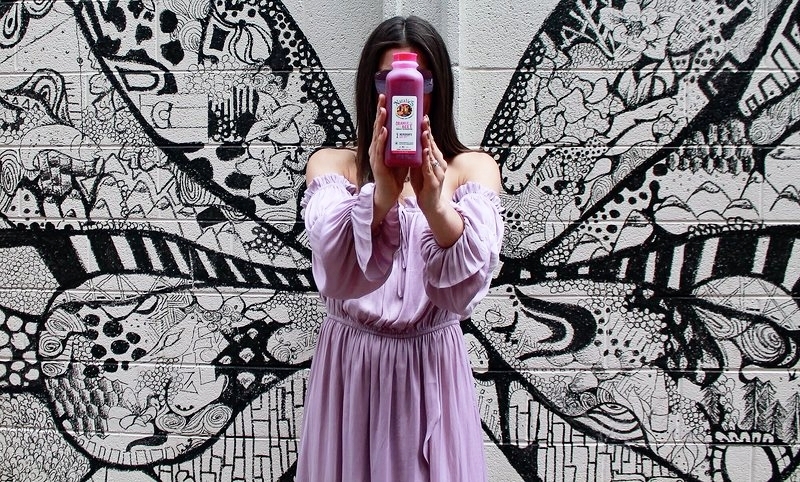 Natalie's juices are handcrafted in small batches, ensuring quality and nutrition without sacrificing that amazing fruit taste. You won't find any preservatives, artificial ingredients, concentrates, or GMOs in these drinks so starting your morning off right is as easy as grabbing one of these vibrant drinks from your fridge and enjoying. My fav Natalie's juice is the Matcha Lemonade. Because when life gives you lemons, you might as well make a mean juice #obiv. 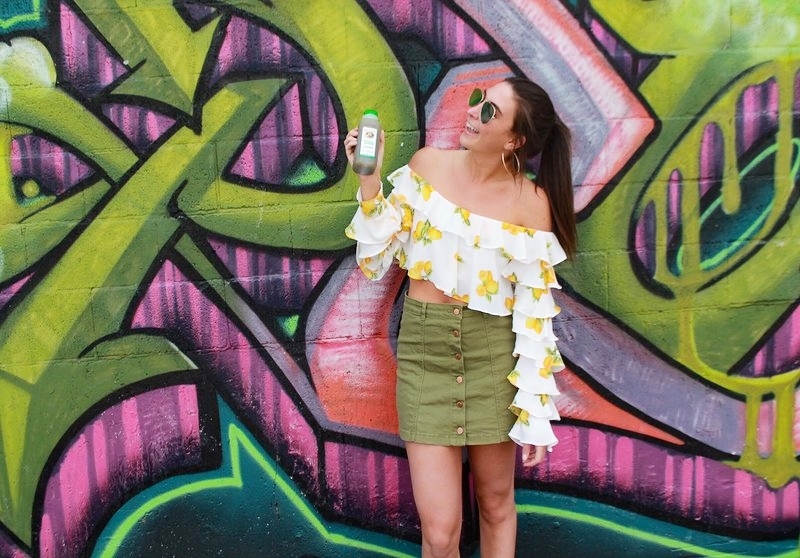 & once you have that juice in hand, you might as well find a cutie frilled crop top with lemons all over it to continue the trend. 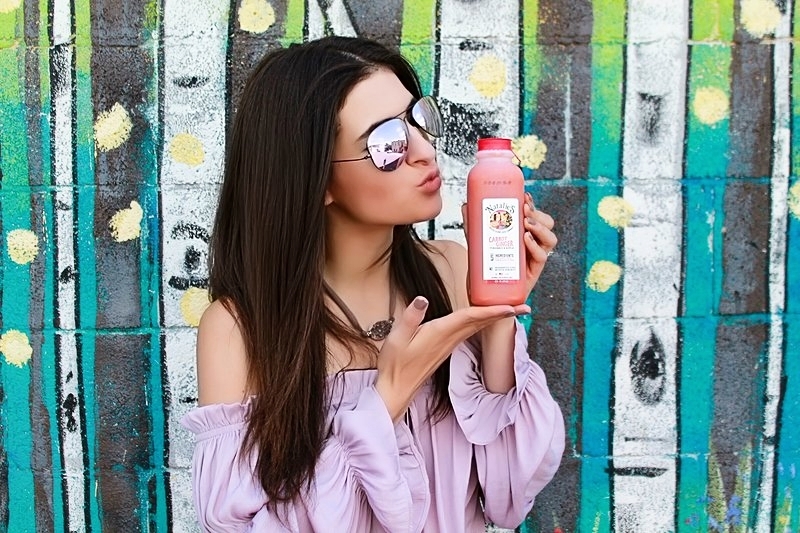 Want to give Natalie's Orchid Island Juices a try? You can find them at your local King Soopers! The Where To Buy locator on their website is a helpful tool to track down Natalie's juices nearest you; OR feel free to purchase directly from their website! Head to their website to receive $1 off your first purchase! 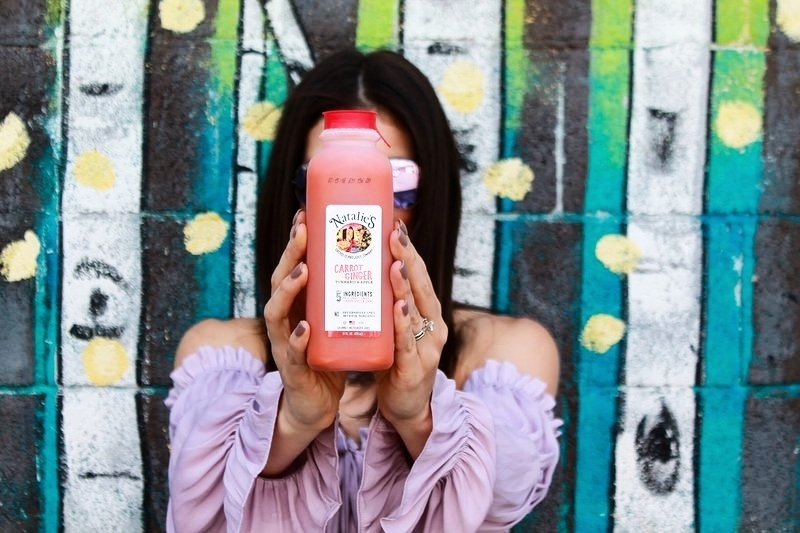 Stay healthy Denverites and #juice away with Natalie's!